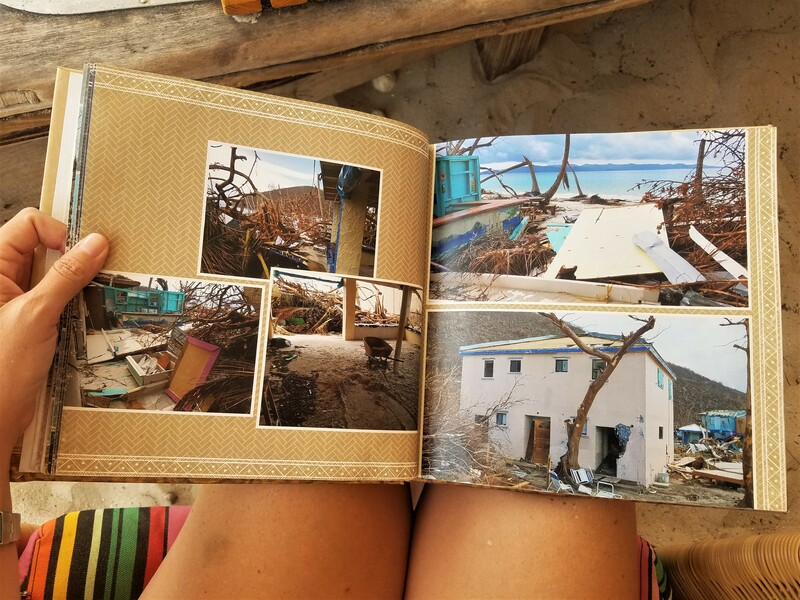 It’s been a year since Hurricanes Irma and Maria ripped through the British and U.S. Virgin Islands. Our much-loved boating play-ground has changed, but thanks to this amazing community and the help of many of you, we’re still here and thriving! 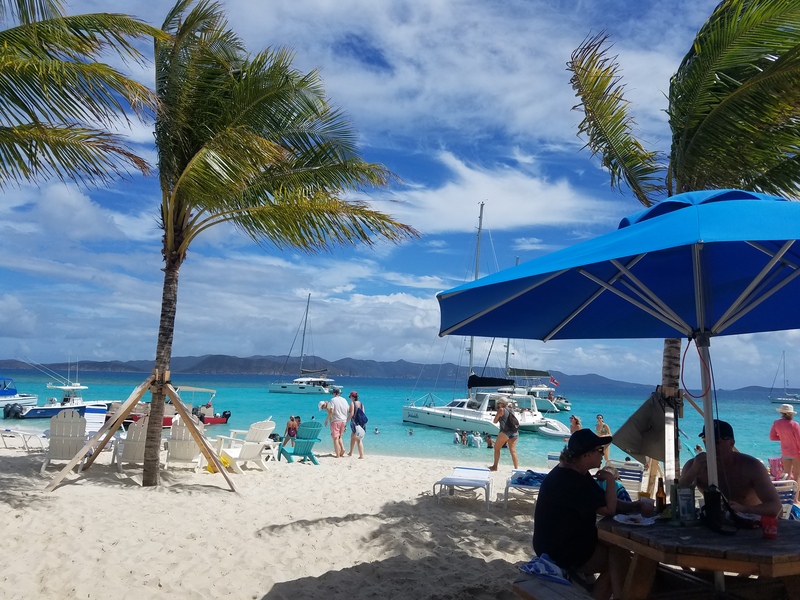 During the low season, our beloved Hendo’s Hideout is closed, but visits to White Bay, Jost Van Dyke are as delightful as always with Soggy Dollar Bar, Gertrude’s, and a new rum! A new rum? Yes! Every Caribbean lover’s dream, a new rum from one of their favorite beach bars! Soggy Dollar Bar has started production of a limited amount of Soggy Dollar Rum post-hurricanes. We can’t think of a better measure of recovery than successful rum production! What is it like? For the sake of this blog and you, dear reader, we tried it for you. Based on spiced rums from other Caribbean islands, we expected a sweet rum. Delightfully, this is not the case! 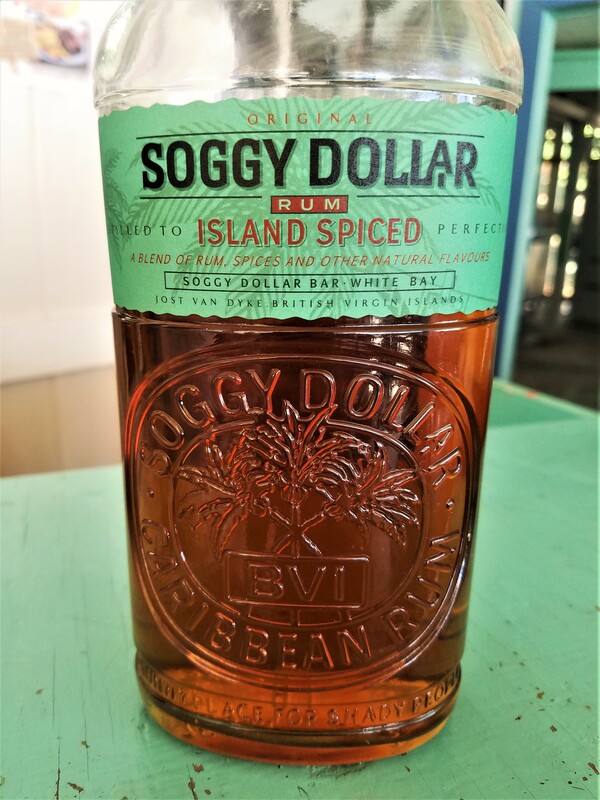 Soggy Dollar Island Spiced is a dark rum (our favorite) that isn’t shy on the spice. Can we add it to everything, please? It’s delicious! PS: Those adorable tumblers are available online: Soggy Dollar Shop. 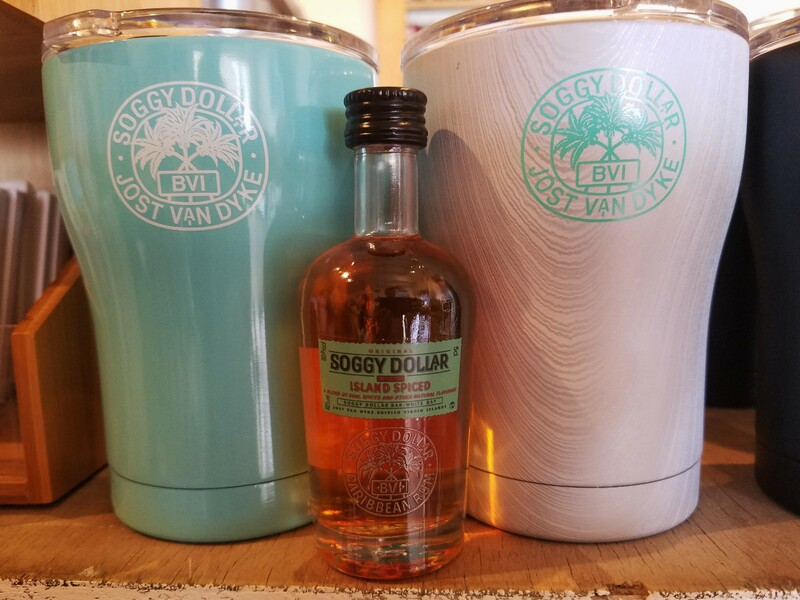 As easy as online shopping is, we do suggest you come with us to a barefoot rum tasting and shopping at Soggy Dollar this winter, reserve your dates! Aqua Blue Charters Reservations. 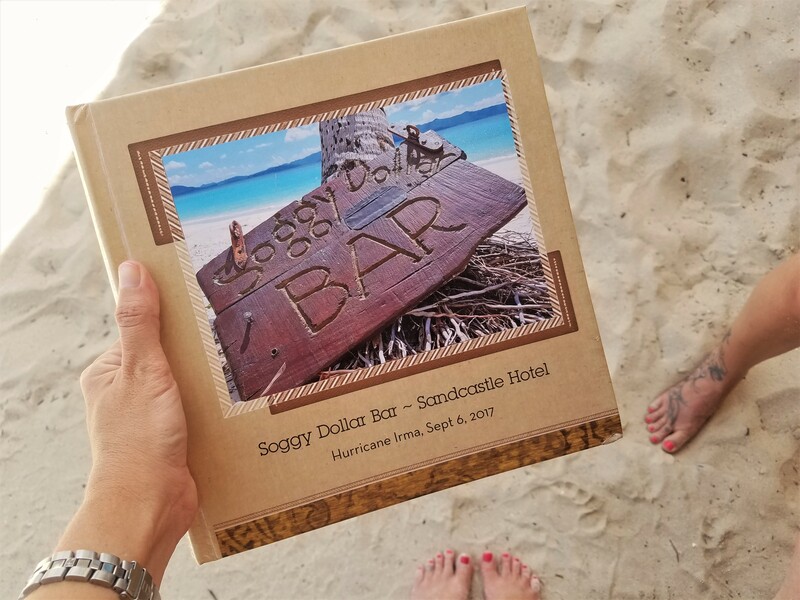 Not only does all rum taste better on a beach, but you can also browse Soggy Dollar’s hurricane coffee table book as you sip. When are you coming boating and rum tasting with us? Book here: Reservations. We will see you on the water!